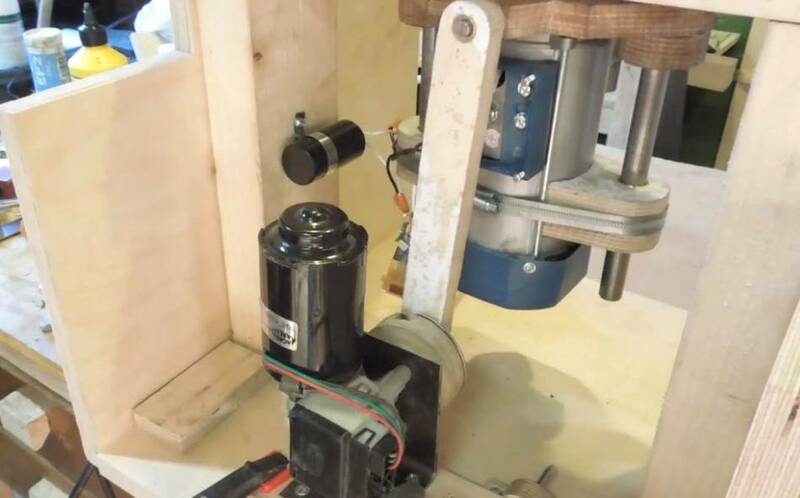 I'm often asked about building an oscillating spindle sander. 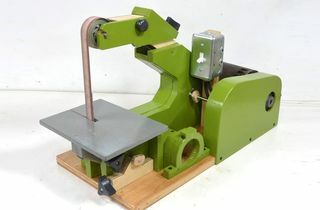 Personally, I (Matthias) would rather buy one than build one because the mechanism is quite complex and spindle sanders are not that expensive. But I'm happy to share Simon Heslop's oscillating spindle sander build, so people can see what is involved. It's a cool project if you really want to build one, but if you don't enjoy the challenge, it's probably not for you. The video embedded above is very informative, and if you have high speed internet, I would recommend watching that. 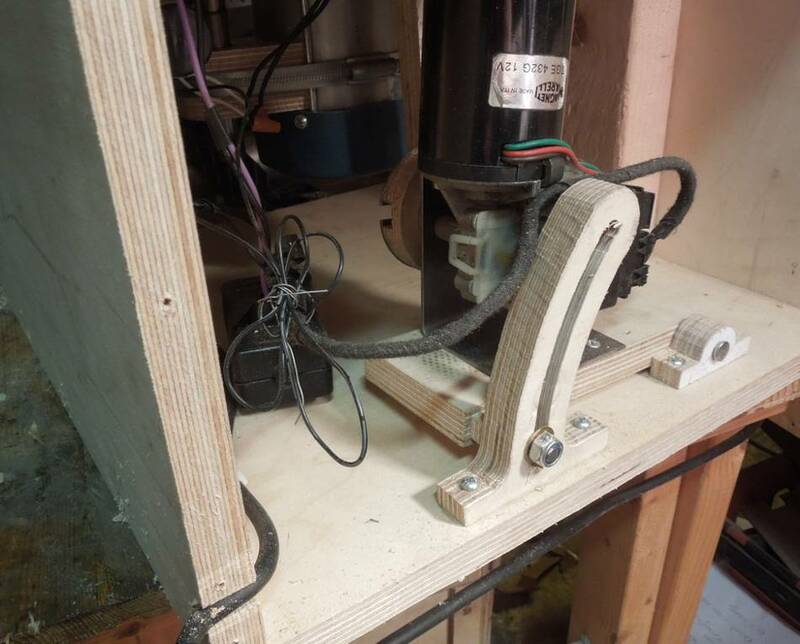 If it weren't for the delivery on the metal lathe's steady rest (needed for this build) taking so long I would've had the thing built in a week. 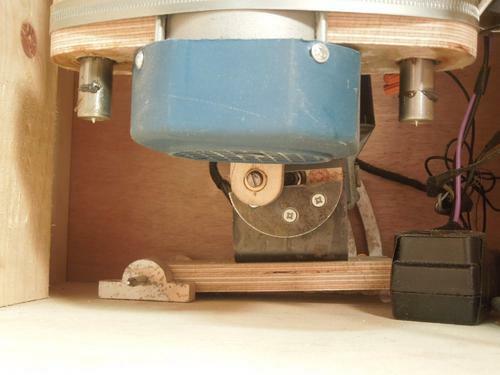 Plus most of the time consuming stuff was dealing with a lack of tools and my lathe being rubbish. 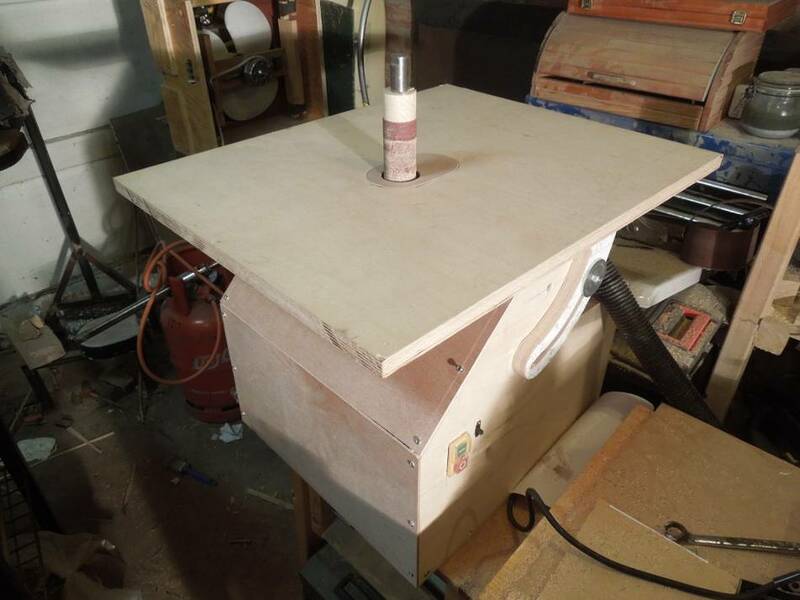 But I do feel that with most homemade tools you have to make them mostly for the fun of making them, rather than think about money saved. If I was using it commercially I would've just bought one. I want to use this sander with a copy of Ronald Walter's inside diameter sanding jig for sanding the pots of banjos round. It's a pretty specific use but for that task I feel the sander would be ideal. Simon made extensive use of my BigPrint program to make 1:1 printouts from his CAD drawings. 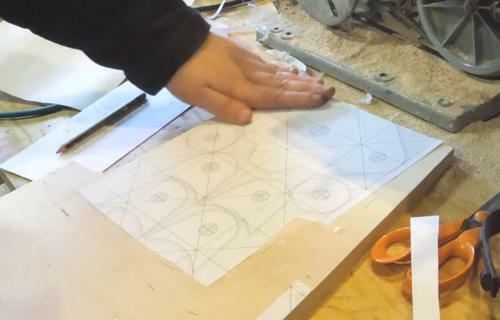 This saves the trouble of re-creating the layout on the wood. The main motor for this sander is a motor from a cheap tile saw. 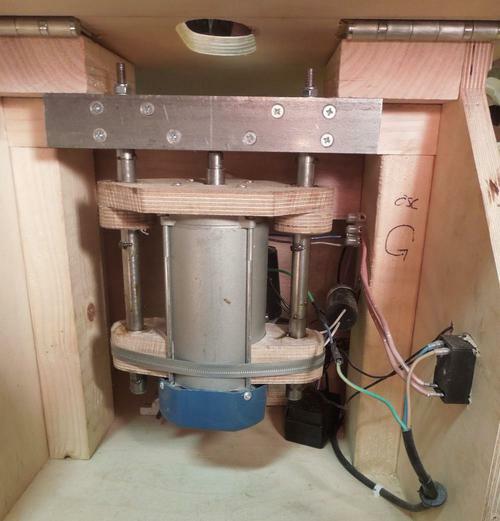 The motor slides up and down on bronze bushings on steel shafts. The up and down motion is powered separately by a windshield wiper motor. 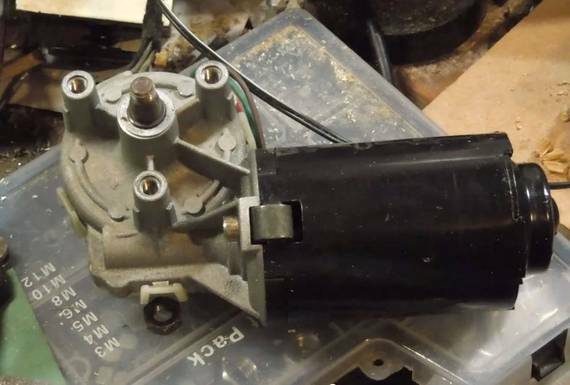 The windshield wiper motor runs on 12 volts DC. A power adapter provides the 12 volts, and the motor can be turned on and off independently. The mount for the wiper motor can also be tilted to adjust the overall vertical position of the spindle. The "throw" of the crank can be adjusted to vary the vertical stroke length. 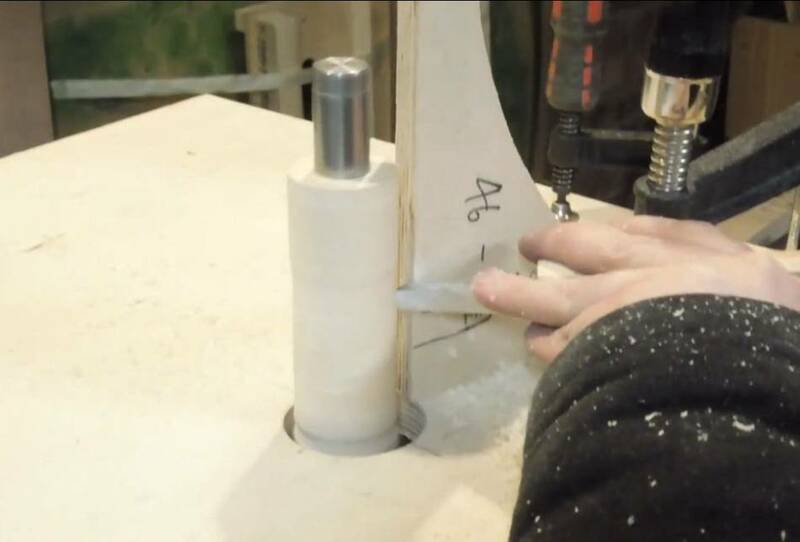 The sanding spindle was made by mounting some MDF disks on a shaft and then turning them round and true in a lathe-like fashion while mounted on the sander. Sandpaper was then glued to the outside of the drum. This does make it hard to change sandpaper.